Grew up… as pivotal member of a special forces group for the United States Army. John was in the thick of the action in Vietnam, and was awarded the Medal of Honor for his valor. Living… searching for the last remaining member of his group, who is dying from cancer as a result of being exposed to Agent Orange in the course of the war. 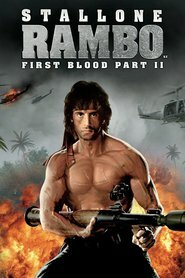 After hearing of his death, Rambo goes to Hope, Washington, where he runs into some trouble with the law. Profession… killing machine. 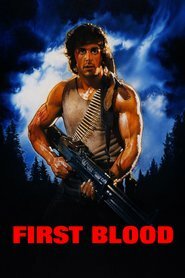 After being harassed by Hope's local sheriff, he has a flashback to when he was back in Vietnam as captive P.O.W. Naturally, he flips out and escapes. They've messed with the wrong guy. Interests… staying alive at all costs. As he escapes he's hunted by a police helicopter, and shot at. 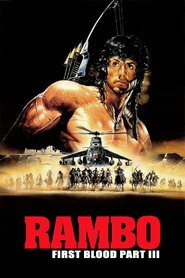 In an effort to defend himself, he throws a rock at the helicopter, leading to some fatalities. Afterwards, he's officially on the run. Can he use all his training to evade capture, and perhaps bring some justice to Hope? Relationship Status… brother in arms to his other comrades. Now, he's on the run from the police, but as a survivalist he's unmatched; this man can run circles around law enforcement. In fact, he tells the sheriff of Hope: "I could have killed 'em all, I could've killed you. In town you're the law, out here it's me. Don't push it! Don't push it or I'll give you a war you won't believe. Let it go. Let it go!" Challenge… trying to stay alive, and come out as the same hero he was remembered as. With police looking to take him out as a matter of vengeance, he'll have to use every amount of training and combat experience to survive. Personality… decisive, equipped, ruthless, and more than a little traumatized by battle. 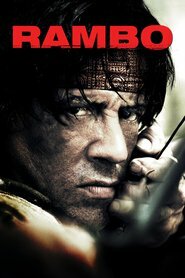 John Rambo's popularity ranking on CharacTour is #1923 out of 5,000+ characters. See our top-ranked characters and read their profiles.